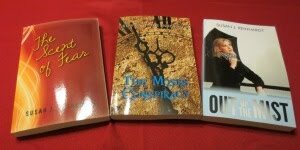 Christian Writer/Reader Connection: Do You Really Want to Know? Hi Susan .. congratulations on the award .. thankfully I hate to shop, but I love cooking (and eating sadly!) .. typing stopped me biting my nails. I'm so not a shopper. I try. I try hard, but it's not in my blood. You'd have hated driving thru NY with us yesterday. Parkway was shut down & we had to find alternate route. Sheer craziness! I am not a shopper, but my kids are. They must get it from their father's side of the family. 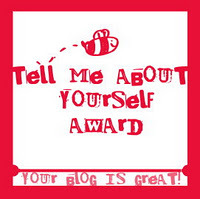 This is a fun post Susan, the award goes around :) Thanks for sharing! How interesting, Susan. I'll bet you're thankful that the job has settled into a routine now; much less stress, I'm sure. Praying for wind at your back, friend. Hi Wendy - There are some areas of NY (like Manhattan) where I refuse to drive. It's public transportation or nothing. Hi Karen - LOL! Thank you. Hi Loree - I should do a survey of writers about the shopping thing. Once again, I don't fit the traditional pattern. Hi Jaime - I'm glad you found these little known bits interesting. Hi Marja - I hope others will pick up on it. It's a fun way to get to know people. Hi Rhonda - Any time an adjustment is complete, I'm happy. The next one will involve a new computer.